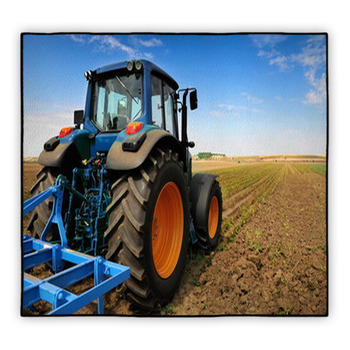 Although it might seem a little strange at first, there are many reasons homeowners might want to show off tractor rugs in the most popular areas in the home. 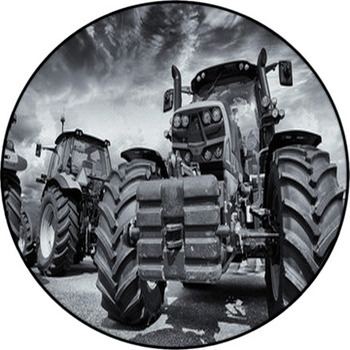 Anyone who lives on farmland knows that it becomes a huge part of the identities of the residents. Whether it is the bedroom of a youngster or in a room used for entertaining guests, these farmland designs can really bring the decoration scheme of a home together. After so much of your time is spent planting, harvesting and maintaining the fields around your home, living on a farm is bound to become very important. Something that is such a significant part of a person's life surely deserves a little recognition in the home. That is why tractor rugs are a great idea for the den or living room of a farm home. They are completely unique and show off your love for the farm life! Tractor rugs are perfect for any room guests will see in the home. They come in so many designs that it is impossible not to find one that will fit in seamlessly. 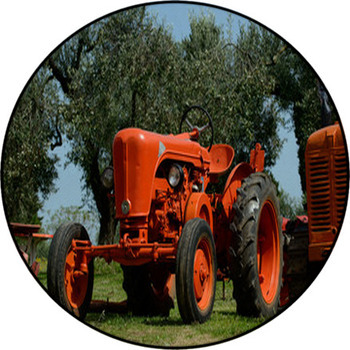 Show off a photograph of the tractor against a setting sun in order to incorporate some rich color into a room. 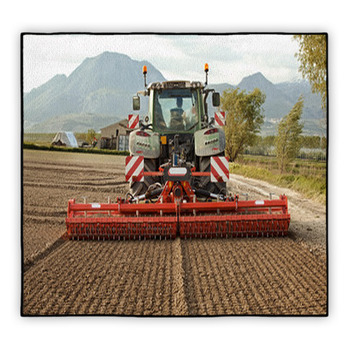 Another option is to choose a print that shows off the machine in action, plowing a lush, green field right on the floor of your living room! 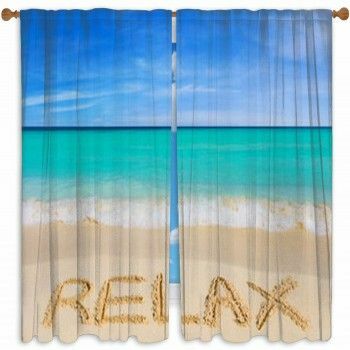 Such designs are perfect for the infamous bachelor pad as well. 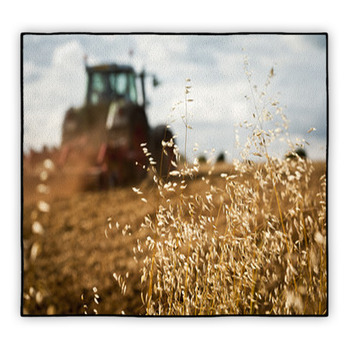 Incorporating area rugs showing off grungy-looking images of tractors adds a touch of masculinity to any home. This is especially true because the space will probably not see much decoration otherwise. 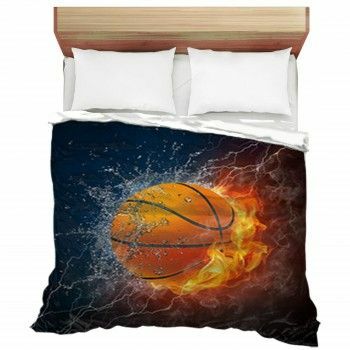 By putting in a decoration that at least shows off your interests, bachelors can look like they at least put a little thought into decorating their space! 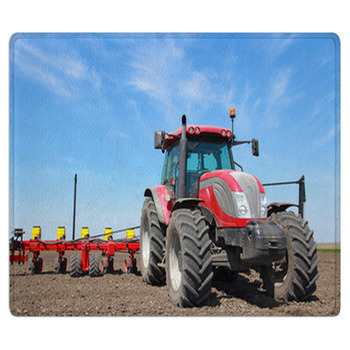 These farm designs for floor rugs are not specific to spaces for entertaining friends or occupied by adult males. It is possible for kids to get in on the fun, too. 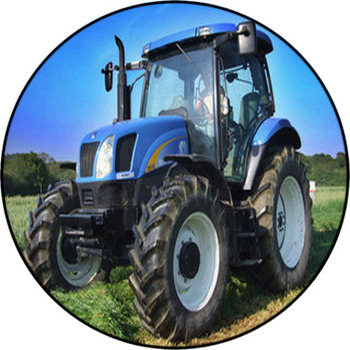 There are colorful tractor designs which are more like cartoons and less like photographs, which are perfect for the bedrooms of little boys who want to be just like daddy. 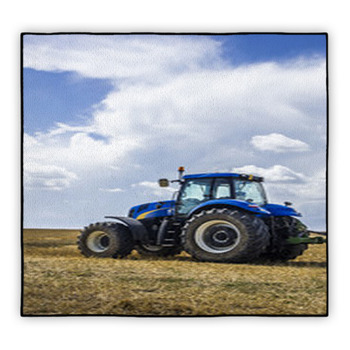 Living on a farm, they will likely gain these interests at a young age, so putting fun tractor images on their floors will allow young boys to have their own unique space! 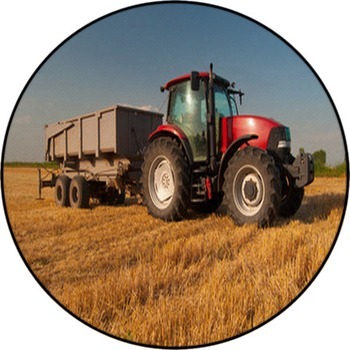 Living on a farm, tractors are likely to be considered your most useful machine. Now they can come inside and plow the floor of your living room by decorating with tractor rugs. They make for a great conversation piece in a room that will be used for entertaining. It is also a way for men to attempt to add some sort of thought into a place where they might live alone. With cartoon designs, these can even be incorporated into kids' rooms and be used on their bedding!.